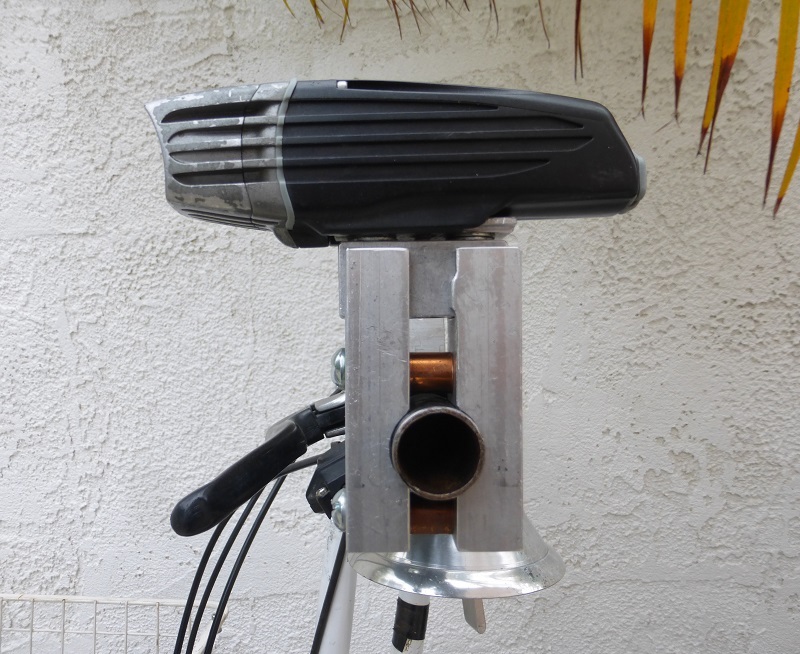 The light mount I made 2 years ago for my main bike has been working remarkably well. 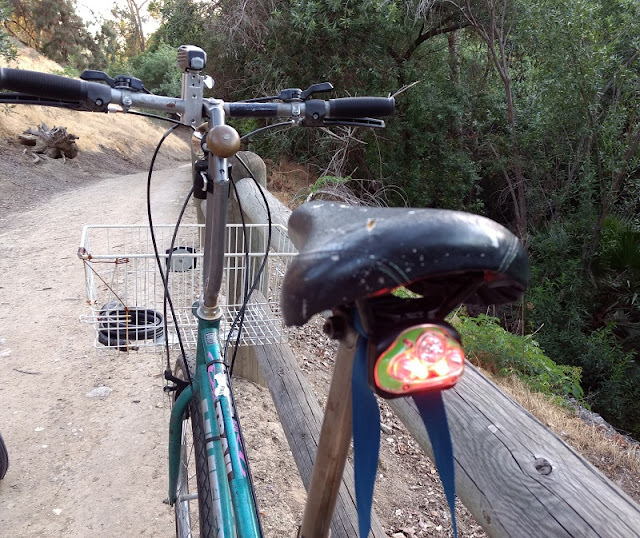 The only problem is that my other bike, the San Antonio Smuggler has been seeing less use due to the the inability to mount my Niterider light on it. I had been using the 1990s incandescent Cateye light on it, but it hasn't been doing much justice for illuminating the road ahead. Time to build another mount for the Niterider. I intended to make an exact replica of the first one. The problem was I didn't have any blocks of aluminum big enough to match the original dimensions. 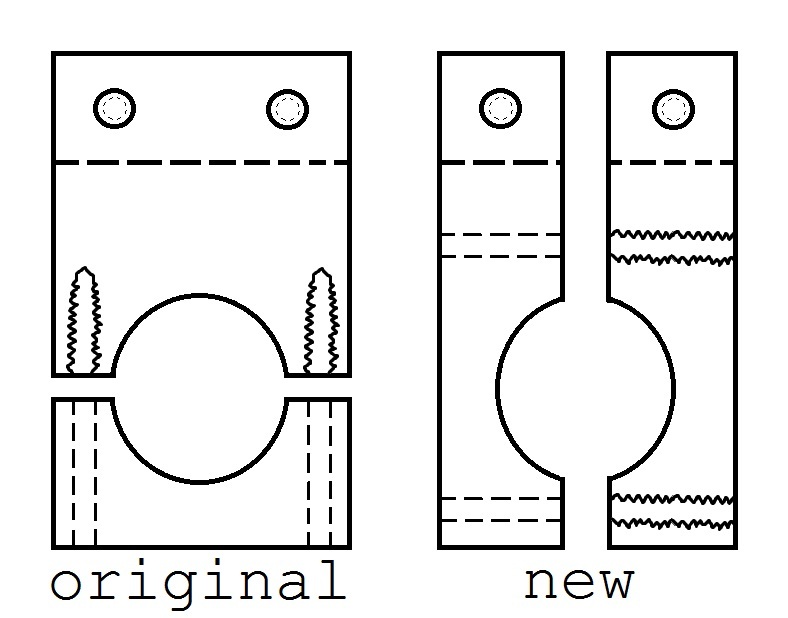 The solution was to modify the design to utilize 2 smaller pieces, and have it clamp on the handlebars sideways instead of vertically. Genius! now it even has the added benefit of weight savings since all that material in the middle is missing. 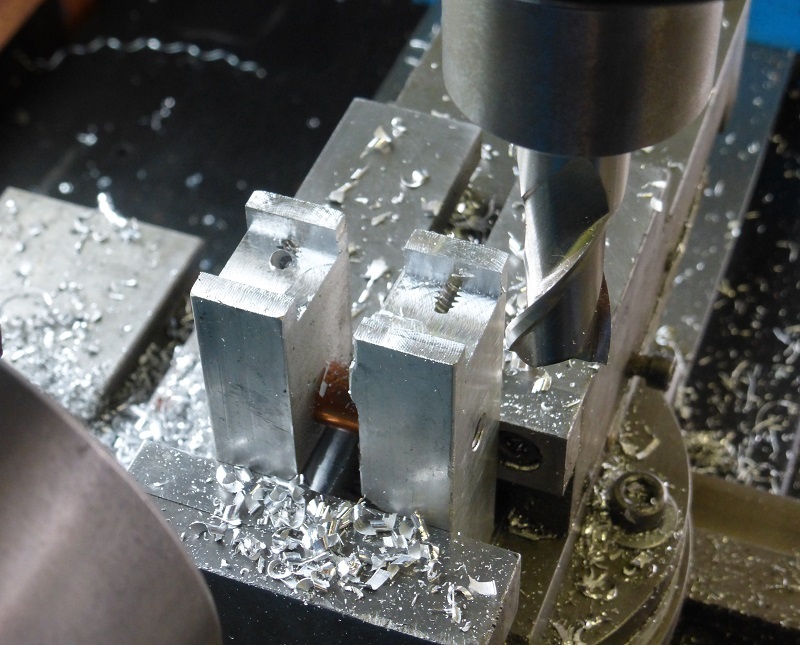 The catch was I had to machine 2 spacers to go between the blocks while machining (bottom right corner of above picture). The 2 blocks came from the same piece of material, just cut in half, so the side and thickness dimensions were already identical. This made clamping them in the vise easy for drilling. I first drilled a #7 hole all the way through both pieces, then tapped them 1/4"-20 in one piece, and opened them up to 1/4" in the other. 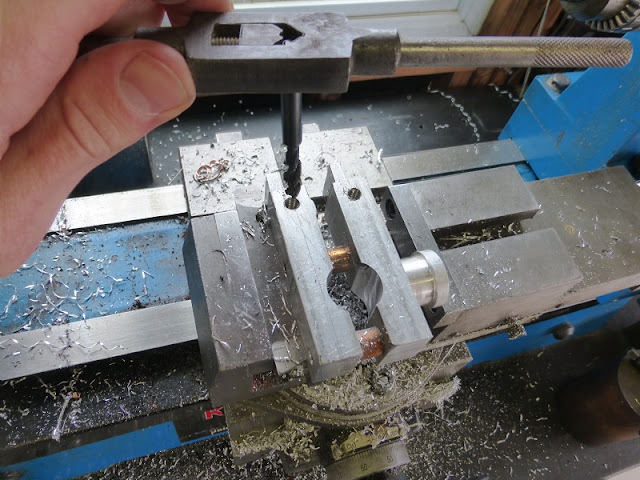 Then after screwing them together with the spacers, milling the mounting hole. 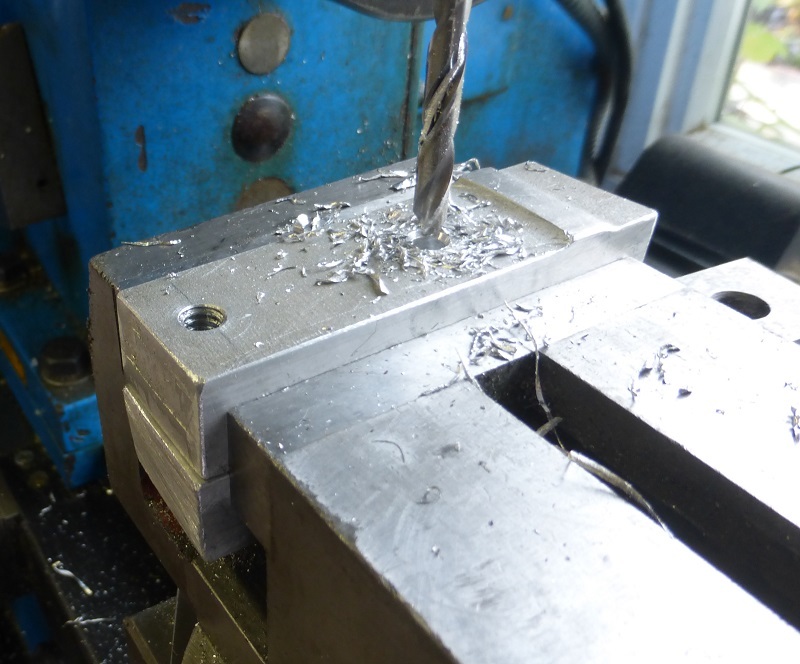 I started with a 5/8" end mill, then stepped up with 3/4" then finally 7/8". I decided to drill and tap the light mounting holes in this setup as well. 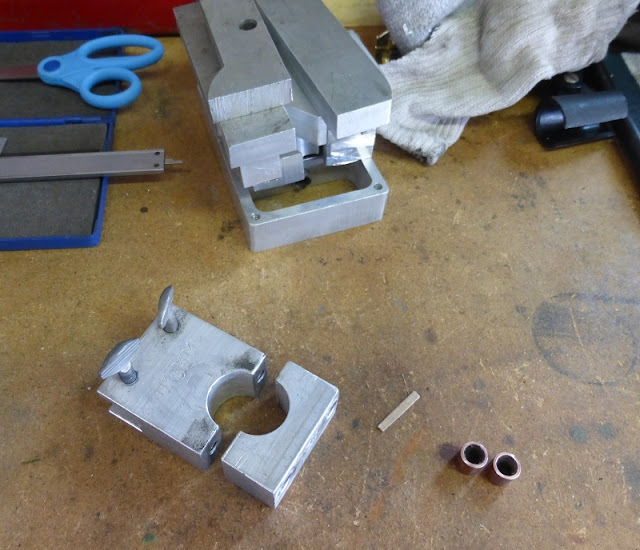 Then flipping the assembly, milling the top square, and adding the slot. Notice how the end mill is breaking through the holes I just tapped. Section views of threads always look cool for some reason. 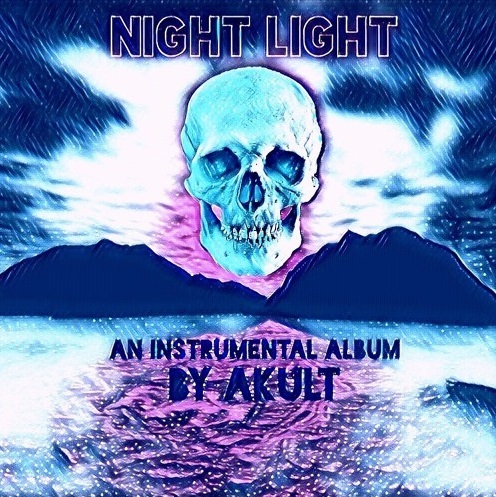 Since I'm such a huge Akult fanboy, I letter stamped the title of his new "Night Light" instrumental album on the front of my new light mount. It's one thing to declare the obvious, it's another to reference a hip hop album while doing so. Clamping both light mounts for comparison. 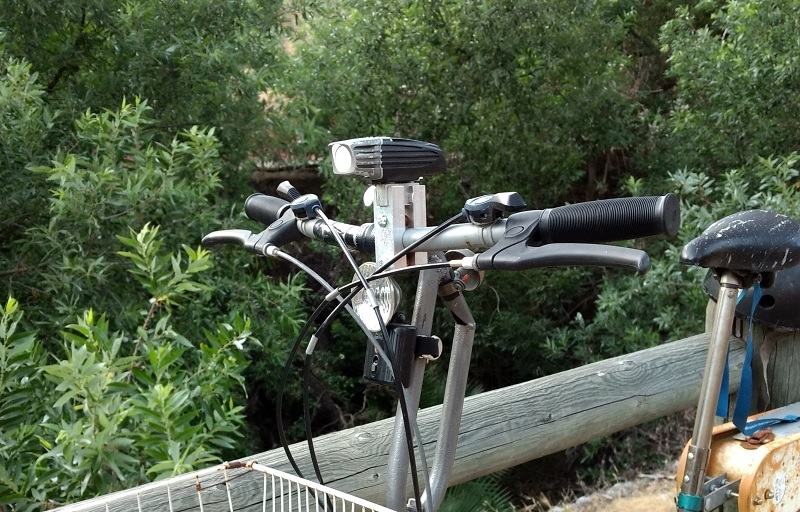 The original light mount has a 1" hole for mounting to the middle of these handlebars, but since the handlebars on the S.A.S. 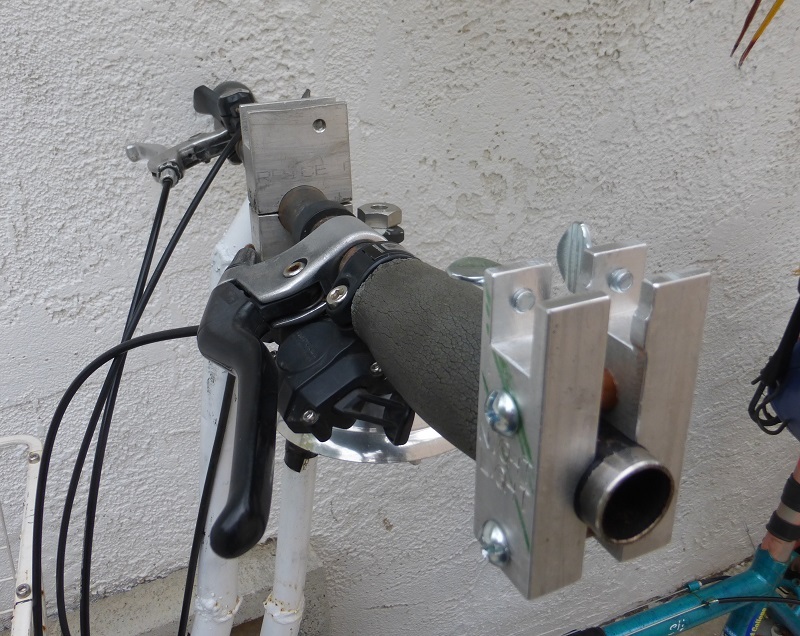 are 7/8" diameter the entire length, I show it here mounted on the end which is 7/8". I actually like this light mount better than the first one! The copper spacers give a nice steampunk touch. (They didn't need to be copper, it was just the most conveniently shaped piece of material I had lying around.) 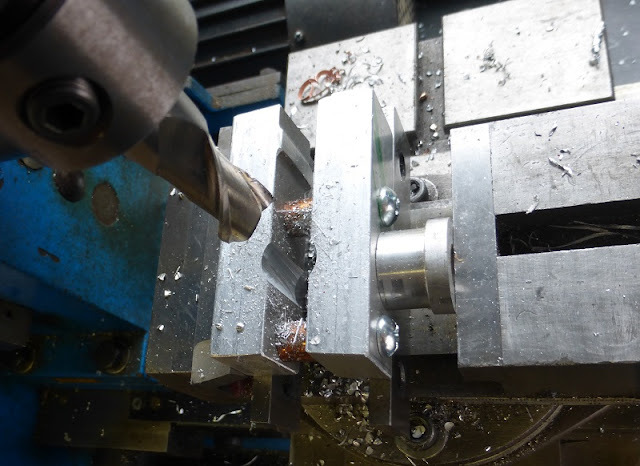 The 7/8" end mill I used to bore the hole was slightly smaller than 7/8", so the blocks clamp onto the handlebars first instead of the spacers. 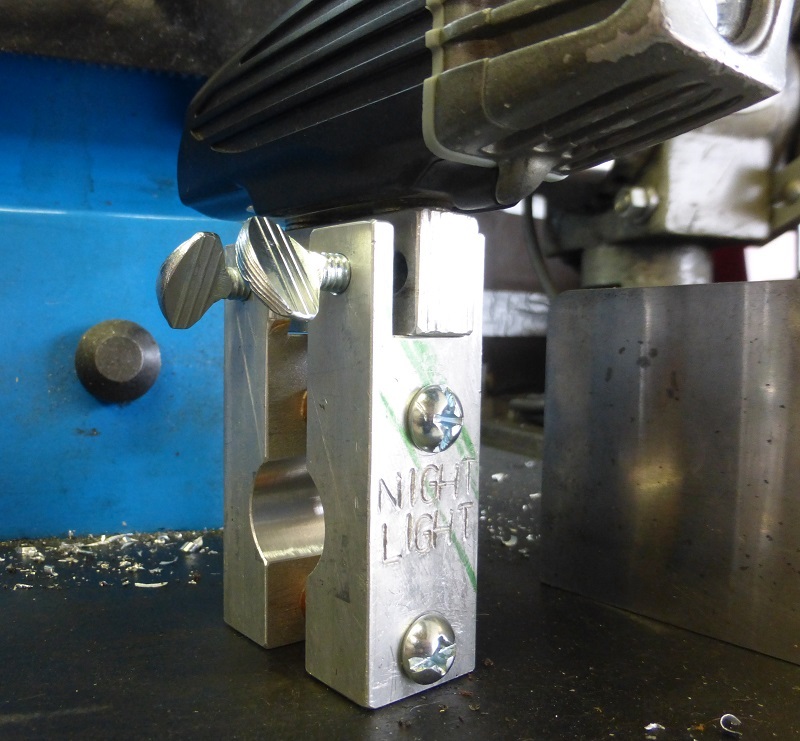 In fact, now that all the machining is done, it doesn't even need the spacers, I just leave them on for good looks, and to protect the screw threads from being exposed. Mounted on the S.A.S. handlebars. And for a rear light, some headlamp I found that fits conveniently between the seat rails.